Remember Totto-chan? The perky little Japanese girl in the namesake book by Tetsuko Kuroyanagi? Totto-chan got expelled from every school she was admitted to, because the teachers did not know how to handle the bundle of unrestrained energy. Redemption came through school headmaster Sosaku Kobayashi, who had unshakable faith that every child is unique and he treated the little souls with due respect. The school Tomoe had no fixed timetable, kids learnt the alphabet by writing their friend’s name, they planned their own day, started with any subject they liked, spent as much time on it as they wished, and played to their fill. All these may sound almost like a fairy tale. But, such schools do exist and their numbers are increasing in India. Alternative schools are child-centric, and they are based on the concept of free progress, where every child progresses at his or her pace, devoid of any comparisons or pressure. And, teachers never preach; they only inspire. The term Free Progress was first used by Sri Aurobindo and The Mother (his most prominent French disciple Mira Alfasa), while explaining the philosophy of integral education. Integral education regards every child as a growing soul, and helps her to bring out the best within, and develop all facets of her personality. Now, it is generally used to describe an educational system where there is no external pressure or comparisons, where every child is treated as a unique soul and the whole emphasis is on free growth and natural development. 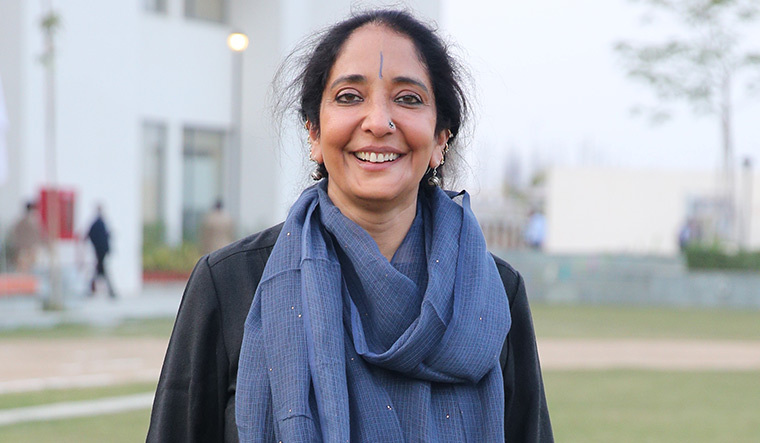 The difference between a mainstream school and an alternative school was succinctly put by Kamala Menon, former principal of both Mother’s International School and Mirambika, both in Delhi—the former a much sought after mainstream school, and the latter, a torchbearer of free progress schools in the country. “The free progress system is based on the qualities a child has, while the formal school is based on what a child should have, decided by a group of adults. Also, the free progress teacher is a creative and continuously learning person, while a formal school teacher teaches the same thing every year for their whole career,” she said. Having been at the helm of Mirambika, where kids begin their day by playing for hours, she should know. Many parents have started looking beyond the confines of traditional classrooms for their children, and their tribe is increasing. Reasons for choosing alternative education are myriad. It may be due to their mistrust of mainstream classrooms, where around 40 children are educated the same way, despite the reality that every child is unique. It may be their dislike for the rat race, or the one-size-fits-all approach—the basic premises on which normal schools function. It may also be due to their own bad memories with the mainstream education system. Learning the ropes: Children learning through play at MatriKiran School, Gurugram. “I hated my school... I firmly believe that rote learning and regular grading system that assess every child only on the basis of the marksheet is not the way forward,” says Vidya Viswanathan, a former technology writer who is now into academics. Her daughter Lakshmi, 13, has been with an alternative school in Delhi since kindergarten. Similar thoughts were shared by Reena Gupta, a former employee with the World Bank, who was part of an ideation team of Delhi Chief Minister Arvind Kejriwal. Her son Ritam is studying in an alternative school in Pondicherry. “I went to a regular school, and there was very little real-life learning there. Most of it was just mugging to pass exams, and there was unnecessary competition. 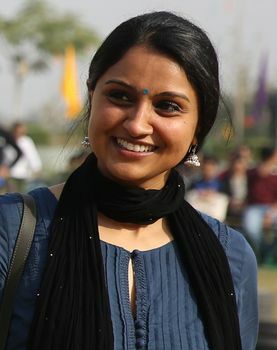 It was when I went to the US to study that I experienced how enriching and fun learning can be,” said Reena. Sandhya Viswan, based in Bengaluru, endorsed these views. 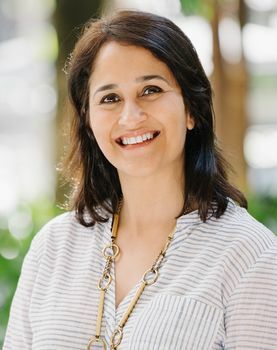 Both her kids—Pranavswaroop and Omkar—experimented with both mainstream and alternative systems, and found that the one-size-fits-all approach in the former is quite meaningless. “Every child is unique, and each one needs to be nurtured accordingly. But, it would be too much to ask of a normal school, where every class will have around 40 kids,” says Sandhya, who is an adminstrator of a Bangalore-based homeschoolers association. Arvind Gupta, one of the torchbearers of the alternative system, questions the very notion of normal schooling. “Most schools are jails, where an alien curriculum designed by some ‘experts’ is thrust down the child’s gullet. It is just the opposite of natural learning,” said Gupta. This Kharagpur IIT alumni quit his job and shifted base, just to put his daughter Dulari in Mirambika. Dulari, one of the first generation alternative schoolers, did her MBBS in CMC Vellore, and is now pursuing DM in neurology. Back to basics: Students at GreenValley School, Thiruvananthapuram, participating in an outdoor activity class. It is the maddening rat race and the competitive spirit in normal schools that prodded Mandakini Dubey, an academic based in Delhi, to choose an alternative school for her children Noor and Nishq. “Normal schools run on the engine of competition. Kids are treated with insensitivity, and they are encouraged to be like rats responding to reward and punishment. I wanted my children to be in a school that gave them space to be themselves, to learn at their own pace, and without a kind of one-size-fits-all approach,” says Mandakini, an alumna of Rishi Valley. Her fond memories about Rishi Valley convinced her that her children, too, should feel the same about school. If alternative learning had been a big-city idea till recently, it is now springing up even in small cities and towns. And, they all have one thing in common—the belief that every child is unique, and that his or her progress has to be free of any external pressure. 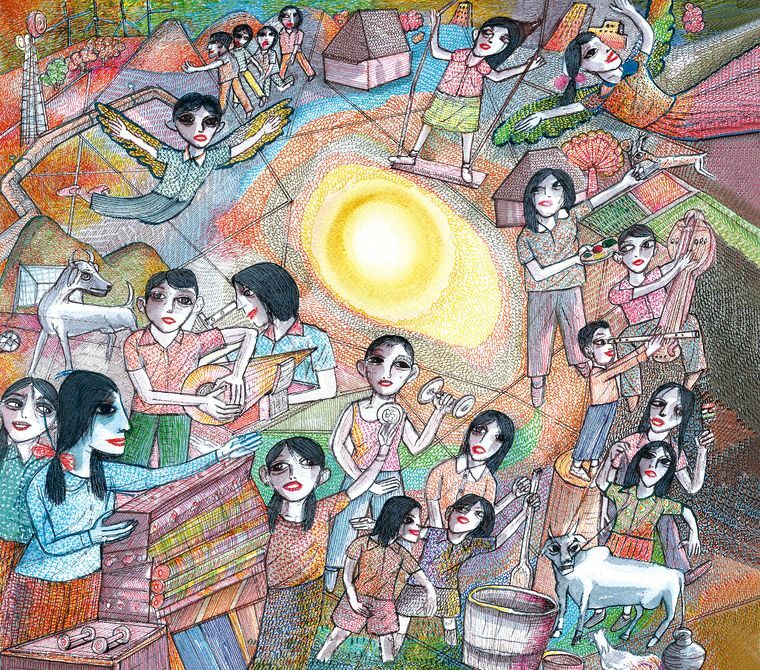 According to Siddhartha Menon, principal of Rishi Valley—one of the front runners in alternative education—it is the “anxiety” about mainstream education that is behind the increasing interest in alternative education. “Those who seek admission here are clearly looking for something different. They are not always sure what the problem with mainstream education is. But, they seem to be concerned about the kind of pressures children have to go through, and are looking for alternatives,” he said. According to him, more and more schools like to use the tag of being alternative. “I guess that is a reflection of a certain societal need,” said Menon. Rishi Valley, based on the holistic educational philosophy of Jiddu Krishnamurti, functions from a vast campus—approximately 375 acres—in Andhra Pradesh. It is one of the most sought after alternative spaces in the country. Ratnesh Mathur of Aarohi, an alternative learning centre in Tamil Nadu, says there are two categories of parents who opt for alternative learning—the first set has had enough of the current system, mostly because it rejects their child in different ways; the second set genuinely believes in alternative education as a way of life. Though the government does not possess any separate data for alternative schools, various private players in the educational field have sat up and noticed the mushrooming of “new age alternative schools” across the country. They, however, prefer to call them “futuristic schools”. School of life: Outdoor classes are a common feature of alternative education. A scene from Riverside School, Ahmedabad. “There is definitely an increase in the number of alternative, or, rather, progressive schools, and, this is cutting across regions. We see this happening in almost all states,” said Aurobindo Saxena of Technopak, a management consulting firm which has just finished a survey of new-age alternative schools across the country. According to Saxena, who is a member of FICCI’s school education committee, the major reason for the increase in the number of alternative or progressive schools is the realisation among parents that the current system is not working. This was endorsed by Jyoti Guha, principal of MatriKiran Scool, Gurugram. “Though the queues for admissions to mainstream schools—which promise outstanding academic results—are only getting longer, the demand for alternative schools that believe in overall development of the child, is also on the rise,” she said. According to her, this increase is because parents are gradually understanding the necessity of a stress-free study environment. MatriKiran, a new age alternative school which is anchored on the education philosophy of Sri Aurobindo and The Mother, envisions itself as “a place where every child needs to be happy, and where learning can take place unhindered by the burden of expectations”. This rising demand for alternative learning has also been attributed to the increasing interest in the alternative way of living, in general. But, there are some practitioners of alternative education who believe that alternative learning is not a new concept at all. 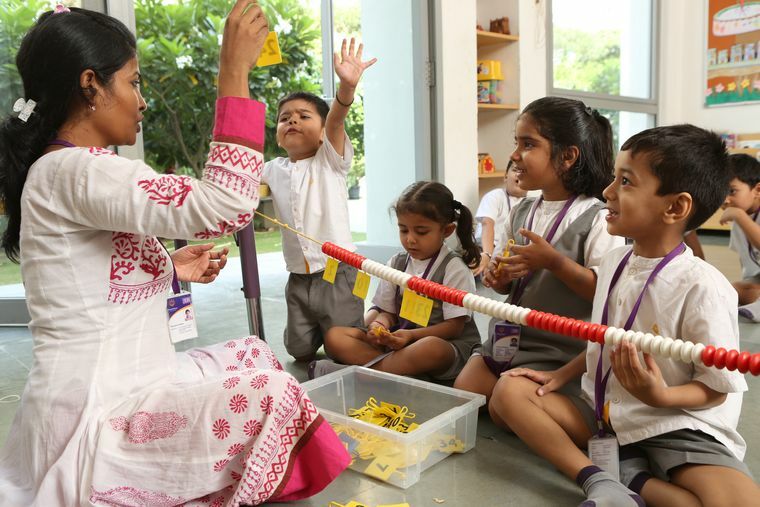 Kiran Sethi, founder and director of Riverside School, Ahmedabad, said, “It is an age-old Indian education pedagogy, that I feel, parents are now re-awakening to. They are now convinced that learning no longer has to be rote, teacher-driven, or in the four walls of the classroom”. Riverside has at its core a “Common Sense Model” that invests in cognitive, physical, social, emotional and spiritual development of students, rather than focussing on completing the syllabus as per the curriculum prepared by a government board. Sethi links increasing interest in alternate education to the information flow. She feels that the new parent is more aware and more informed, and, hence, is looking for schools that are also “re-imagining and changing” with the times. 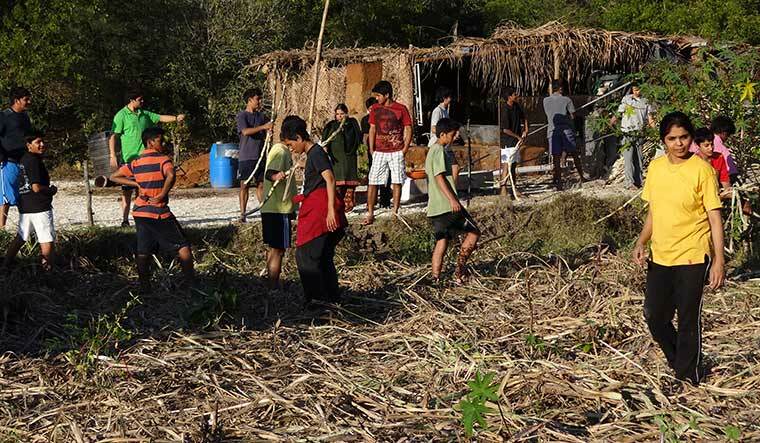 Sweet lessons: Students harvesting sugarcane at Rishi Valley School. In a way, Sethi is right. The idea of alternative learning is not a new concept in our country. Rabindranath Tagore had been an ardent advocate of alternative learning. Jiddu Krishnamurti and Sri Aurobindo also believed in the same. Rishi Valley and Mirambika are results of these philosophies. But, what is new is that they are no longer an elitist, big-city concept. The socio-economical profile of those who opt for alternative learning is also undergoing a drastic change. If it was limited to the upwardly mobile earlier, now even middle-class families dare to be different, and opt for alternative models. Alternative schools in smaller towns and cities like Jaipur, Madurai, Panaji, Bhopal, Coimbatore and Chengannur are proof to this. A majority of parents, whose children study in these new age schools, are professionals. According to Guha of MatriKiran, there is a more personal reason for the general mistrust towards traditional schooling. “There is a rise in the number of nuclear families and working parents, resulting in latchkey children. Since most parents are unable to give time to their children, they look at alternative education to nourish the soul of the child,” she said. Practitioners of alternative learning vouch that schools are no longer just a space for academic excellence these days. Parents who are professionals now look at schools as a space where their kids can have overall growth. Chetana Keni of Aurinko Academy, Bengaluru, said, “Professional parents who are struggling with the changing demands of their career, and life, are realising that the education system is not really preparing the children for that. Secondly, they are realising that the one-track academic focus, based on fear and scarcity of opportunities, has left a bad taste. They are all struggling to find their identity that got lost somewhere in the mainstream herd-mentality. So, parents are looking for child-centric education that can help their wards blossom at their own pace, and excel in their areas of strength”. The mushrooming new-age alternative schools are increasingly becoming an option for those who used to opt for homeschooling earlier. “I was clear that I will not put my child into mainstream education, where every student competes with others for marks and other merits. Hence, we had opted for homeschooling. But, now I can see that there are many alternative options, and it is a happy development,” said Mumbai-based Prathiksha Sahni, whose ten-year-old son had joined an alternative school a year ago. The increasing space for alternative means of living has also encouraged middle-class families to look beyond UPSC exams, and IITs and IIMs. Also, the fact that higher learning centres catering to alternative learning are coming up is proof that the tribe of alternative learners is growing. Swaraj University in Udaipur and Azim Premji University in Bengaluru are classic examples of this trend. “Alternative or progressive schools focus on the positives of every child, rather than his or her drawbacks. This helps them realise their passion at an earlier stage. 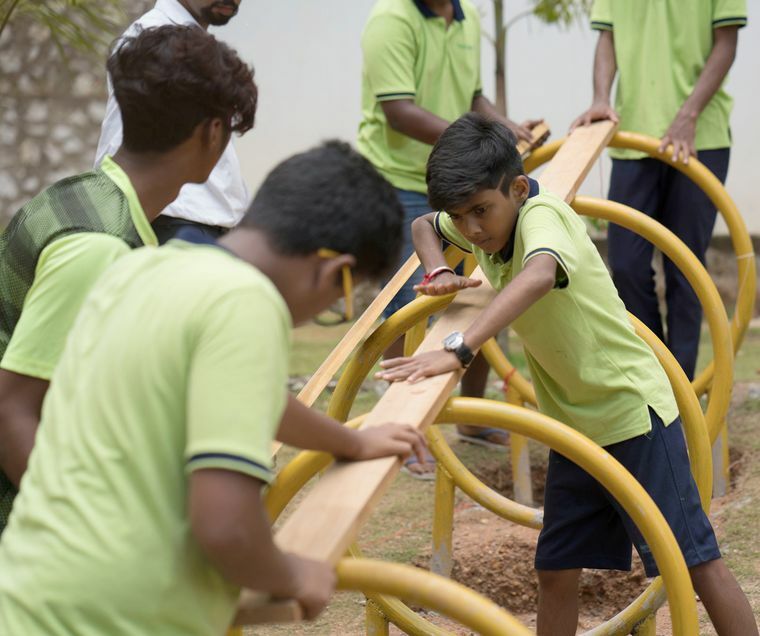 There is no space for following one’s passion in a normal system,” said Balamurali Vijayaraj, founder of GreenValley International School, Thiruvananthapuram. GreenValley was designed by the famous US-based architect Prakash Nair, who has designed several schools across the US and Europe. It looks less like a typical school and more like a fun space for children of various age groups. There are no separate classrooms in this school; its creators said that typical classrooms have been modelled on jail cells . “These classrooms and jail cells have only one intention—to rein in the inmate. Our school does not believe in suppression,” says Vijayaraj. But, alternative education is surely not a cakewalk for the practitioners, as it does come with its own set of issues and challenges. The primary challenge is how strong a conviction parents have in the alternative system. “The results of letting the child follow a path of curiosity-led knowledge might be slower, or different, but, of course, with a deeper understanding, that is difficult to gain from a textbook. The challenge is in accepting to learn in an unhurried way, taking the longer route. Sometimes we are able to talk parents through underlying reasons, at other times we struggle,” said Divya Bhalla, chairperson of MatriKiran, Gurugram. Similar challenges are faced by parents, too. “As someone groomed in a normal or mainstream school, the challenge for me is not to impose any of my pre-learnt expectations on my child, be it academic performance, or extracurricular excellence. It is I, who needs to realise that marks, grades and scores are not vital,” said Mudita Mubayi, director of Quizcraft Global Knowledge Solutions. Her daughters Shireen Saudamini and Noor Vasundhara are students of Mirambika. Another major challenge alternative schools face is that of accreditation. As most of them do not follow any board till higher classes, and also do not meet the requirements specified in Right To Education like compulsory exams and BEd degrees for teachers, these schools struggle to meet government specifications. “I know many highly qualified professionals, even those with degrees from IIT and IIMs and scientists from IISC, who teach in alternative schools because of their passion for education. But, they may not be having BEd certificates. With the government insisting on BEd, they may have to opt out. Isn’t it ridiculous?” asked Vijayaraj. The increasing tendency by the governments to tighten their grip on these schools is another hurdle. “Currently the mood in the country is increasingly one of control and standardisation. In the field of education, new rules, procedures and structures are being introduced. For example, it is likely that from this year, children who are in ICSE schools will have to take exams from class 5 or 6. This kind of uniform standardisation actually kills creativity. I think that is a big challenge that alternative schools are facing now,” said Menon of Rishi Valley School. Running a free progress school is never easy. It requires guts to swim against the tide, with the mainstream trying its best to tighten its noose, and strangle freedom and creativity. Bhalla of MatriKiran said that the main challenge is to provide the essence of holistic learning, from within the boundaries of educational boards. “Living in a society that has been following a 150-year-old factory-model classroom system, we are at odds with what we want for our children,” said Bhalla. Most of the schools do not have exams till the students reach class 8. Once the students reach that level, the school helps the students prepare for exams conducted either by The National Institute of Open Schooling (NIOS) or International General Certificate of Secondary Education (IGCSE) or Indian Certificate of Secondary Education (ICSE) as they offer more flexible choices. The fact that the government has no special data on alternative school despite their spread is a worrying factor for all concerned. Equally worrying is the lack of understanding about alternative education even among officials of the HRD ministry. “When I once approached an NIOS centre for my son’s exam, the first question was whether he had some disabilities. That is the level of understanding even among top officials,” said Sandhya Viswan. Keni of Aurinko Academy wants the government to make NIOS the official board for alternative schools. This will bring in the much-needed balance between mainstream and alternative systems. “The government should frame a guideline for alternative schools and also form a committee of all alternative schools, with a track record of at least five years, from grade k-12. This will make the alternative system more accessible and accountable,” says Keni. Though they belong to the same genre, the new age alternative schools try to distinguish themselves from the frontrunners like Rishi Valley and Mirambika. 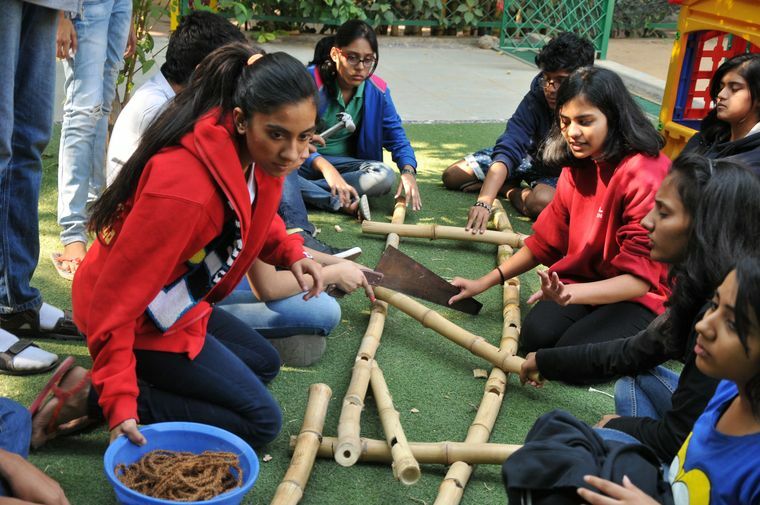 While the veteran alternative schools like Rishi Valley and Mirambika are based on philosophies put forward by Jiddu Krishnamurti and Sri Aurobindo, the new-age schools are products of both passion and business. “The narratives of new-age alternative schools have completely changed as most of them work on a combination of passion and entreprenuership,” says Vijayaraj of GreenValley School. The fact that everyone with talent, regardless of degrees, has a space in modern economy, is an encouraging factor. The examples of Malvika Joshi, a 17-year-old girl from Mumbai, who has been accepted for a degree programme in science at Massachusetts Institute of Technology (MIT) after being home-schooled, and Sahal Kaushik, who topped the IIT entrance at the age of 14, are examples of a successful alternative learning system. The criticism against alternative schools is that they end up as exclusive spaces with only certain kids joining the stream and that they are cut off from the harsh realities of real life. But, Rubin DCruz, assistant editor at National Book Trust (NBT), whose son Aaromal went to Mirambika and is now with Azim Premji University, is of the view that lack of exposure to the ‘other’ is an issue in all schools, regardless of whether it is mainstream or alternative. “It is generally seen that children from the affluent sections go to English medium schools, and the poor and the lower castes go the government or government-aided institutions. But, in all good alternative schools there is a conscious effort to assimilate and nurture,” he said. Perspectives may differ, but one thing that is generally agreed upon is that there is something severely wrong with the current education system, where the kids are under too much stress to perform. It was only recently that a school kid allegedly killed another one in Gurugram just to get the exams and parent-teacher meeting postponed. Education has to be an art of nurturing the physical, emotional, intellectual, psychological and spiritual dimensions of the child. Happy childhood memories matter a lot, and we need more spirited and liberated Totto-chans.